Welcome to Argus in the Community | Argus Properties Ltd. Being a part of the community, and developing a sense of connectedness is very important to the employees here at Argus Properties. We believe that by assisting others with donations, or lending a hand is a way for all of us to be able to improve others’ lives a little step at a time, and become a participant in a community that cares and respects one another. Twice a month, every other Friday, the employees at Argus Properties participate in “Jeans Day”, and wear jeans to work. A minimum of $3 is donated from each person, and at the end of the year, the money raised is donated to a local charity that the employees of Argus Properties are passionate about. 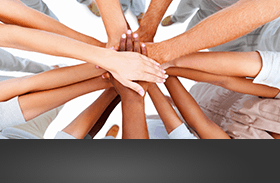 Some of the charities and organizations that the Argus team has participated in over the years has benefited the recipients, and has brought us the satisfaction and joy as positive contributors to our community. The 'helping hand' stretched out to Habitat for Humanity's ReStore assisted the organization in opening its doors in 2015 to provide the service and products required for those in need of a home, and offering items at a discounted value. 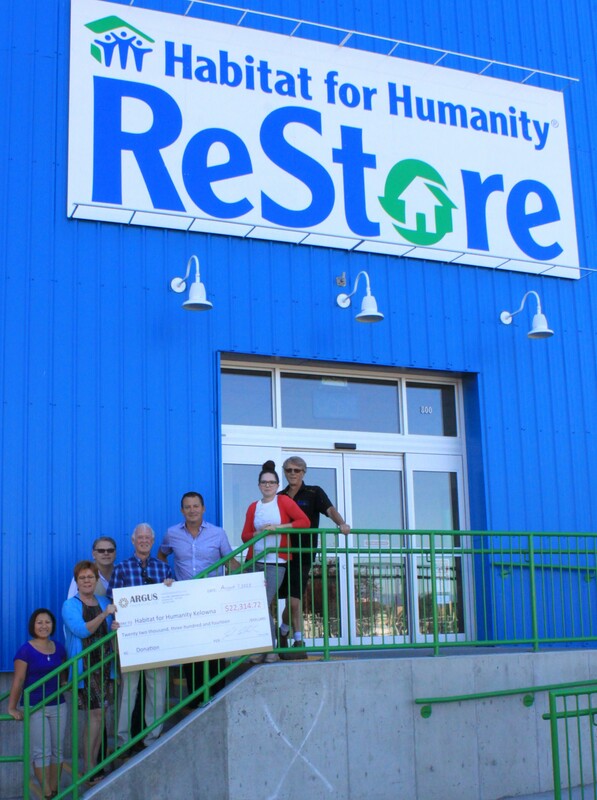 A total donation amount of $22,314.72 in cash and in-kind went a long way in setting up the Kelowna ReStore. Thanks goes to the generous suppliers and vendors who donated their service and products to this initiative! These are the wonderful partnerships that Argus gets involved in, because we see the value, and the benefits that can be produced for the entire community. Argus has also supported the local community by participating in the Christmas Hamper program wherein the Central Okanagan Food Bank provides Christmas hampers for families in need. Food items, along with toys (sometimes hand-made by employees), and other great items are included in this hamper. To know that we can bring a smile to a family during this special time of year is an amazing gift of its own. 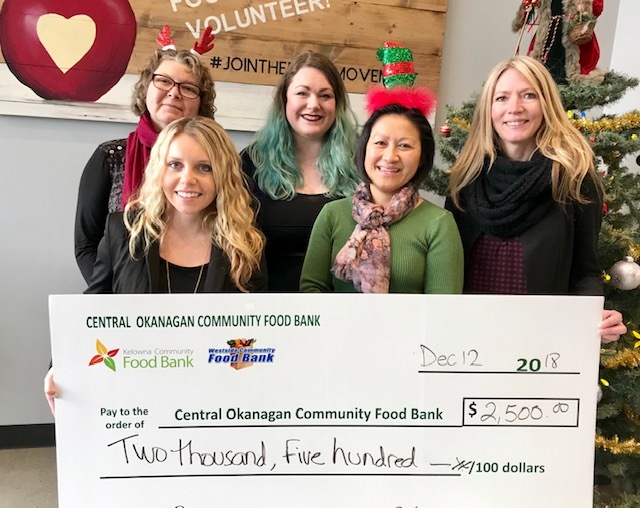 Along with a Christmas hamper, the employees of Argus have also pooled together donations for the Central Okanagan Food Bank to help curb hunger in the region. In 2017, Argus had donated a warehouse space of close to 10,000 square feet to house Christmas hampers for a month for the Okanagan Food Bank's need while they transitioned to their new home on Enterprise Way. The Okanagan Food Bank serves over 1200 families alone over Christmas, and continues this support throughout the year. 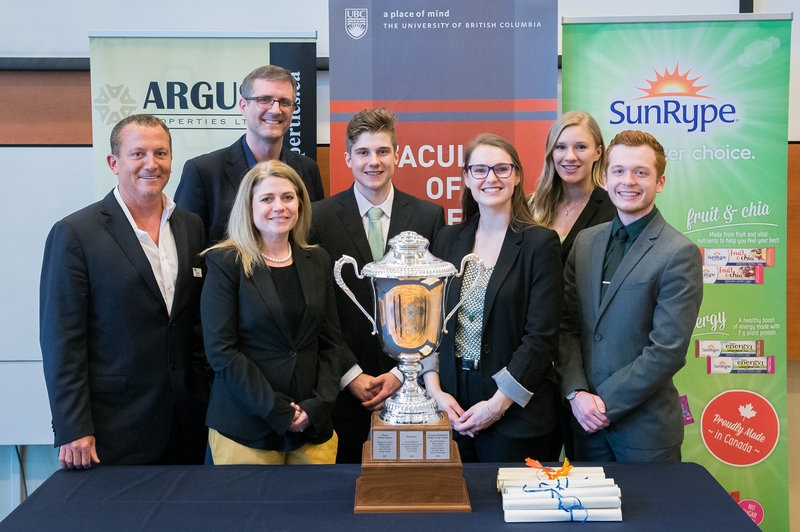 One of our community partners is with UBCO, supporting the Live Case Challenge in the Management program with $75,000 for the next 5 school years. Students collaborate together, and pitch a business proposal to a company or non-profit in live time, providing solutions in meeting the business challenges faced by the organization. 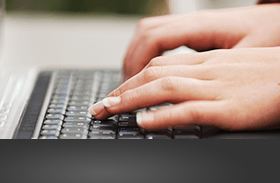 It is exciting and fulfilling to know that we are supporting the future of business! 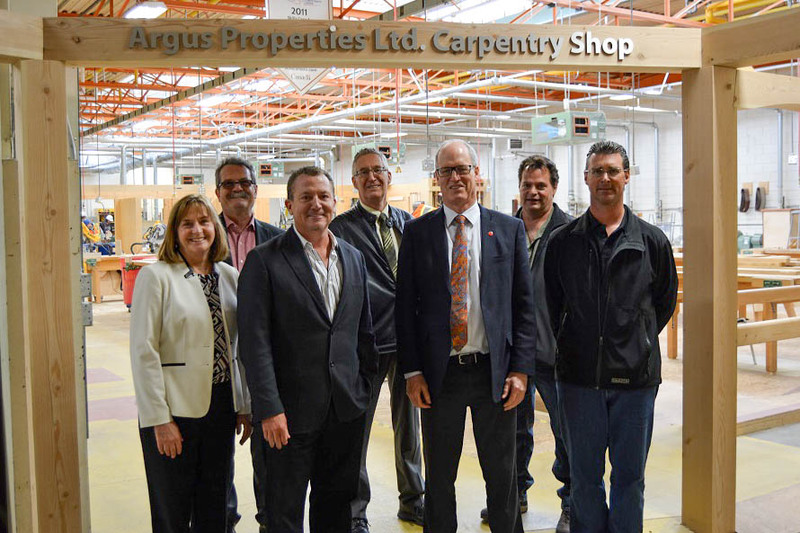 Argus has also partnered with Okanagan College (Kelowna campus) to support the build of the trades centre complex by pledging $175,000 towards the Bright Horizons - Building for Skills campaign. The company's name appears across the student built pergola in the entrance to the construction trades shop. The complex, which officially opened in September 2016, provides trades training for more than 2,600 students per year. Over the years Argus has been involved in a variety of philanthropic endeavours; disaster relief, medical research, arts and fitness and many other local community groups. Some of the disasters that Argus has supported over the years are the Nepal earthquake (2015), Typhoon Haiyan (Philippines 2013), Japanese Earthquake and Tsunami (2011), Hurricane Sandy (US 2012), Indonesian earthquake (2009) and Hurricane Katrina (US 2005). We are proud to be sponsors and donators to the Canadian Cancer Society, Heart and Stroke Foundation, Apple Triathlon, BC Interior Trampoline Society, Kelowna United, Opera Kelowna, Okanagan Boys and Girls Clubs, and the Royal Canadian Legion, just to name a few. We are also a lifetime, platinum sponsor for Ducks Unlimited that helps conserves Canada's wetlands. At Argus Properties, we believe that a strong community is developed through the caring efforts, and generosity of people helping people. Reaching out first on a smaller scale and then to the larger community, nation and world is what connects us all as a humanity. Ringing in Noise for the Big Bike Ride!